Kalimpong Tourist Lodge at Morgan House offers a comfortable stay to the tourists with its elegantly furnished big and wide rooms. 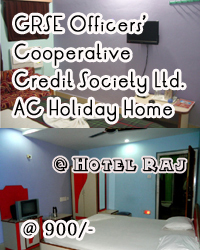 The rooms are equipped with modern amenities. The Complimentary breakfast is included and the Restaurant at th Morgan House serves the tourists with different quality cuisines to choose from. For conferences and business meetings, the tourist lodge has an elegant and beautiful conference hall. OFF-SEASON DISCOUNT 20% OF ROOM RENT FROM 1ST JULY TO 31ST AUGUST. RATE ENHANCEMENT @20% FROM 4TH OCT -4TH NOV & 15TH APRIL TO 30TH JUNE.